MEXICO. 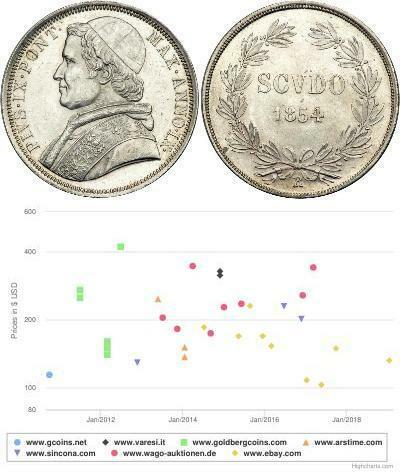 4 Escudos, 1736-Mo-MF. Fr-9; KM-135.Philip V. Large armored bust to right.Reverse: Crowned Hapsburg arms within chain of the Order of the Golden Fleece. 1734,MEXICO. 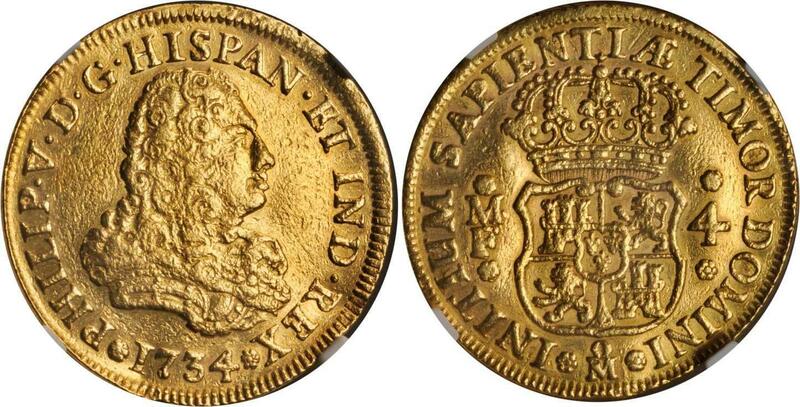 4 Escudos, 1734-MoMF/F. 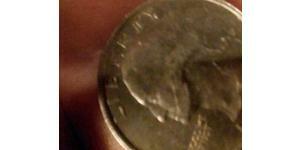 NGC VF Details--Removed From Jewelry.Fr-9; KM-135; Cal-type-53#240. Unlisted overassayer.Pedigree: From the David Gray Collection. Ex: Ponterio & Associates Sale #82 Lot #481 August 6, 1996. 1732,MEXICO. 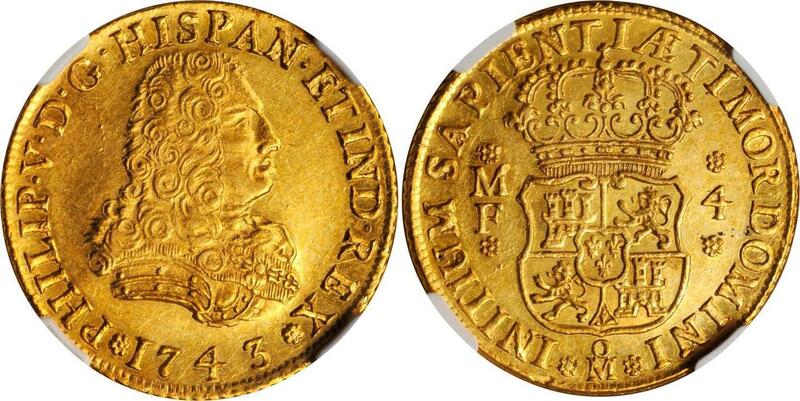 4 Escudos, 1732-MoF. Philip V (1700-46). NGC VF Details--Mount Removed.Fr-9; KM-135; Cal-Type-52#237. EXTREMELY RARE. First year of issue.Pedigree: From the David Gray Collection. Gold MEXICO. 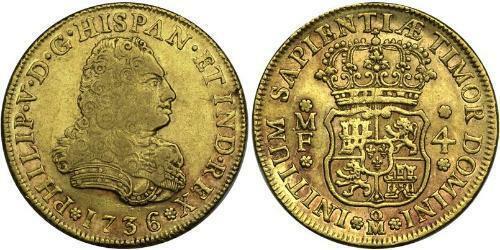 4 Escudos, 1736-Mo-MF. Fr-9; KM-135. Philip V. Large armored bust to right. Reverse: Crowned Hapsburg arms within chain of the Order of the Golden Fleece. Traces of luster. Rare. Very Fine.